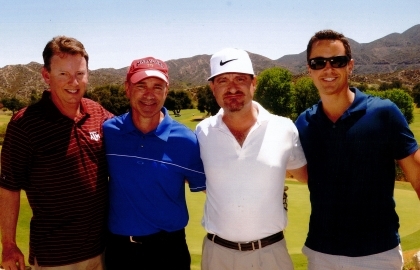 On Thursday, June 19th, 2014, members of Pacific Medical Buildings and PMB Real Estate services played in the 19th Annual Providence Saint Joseph Foundation Golf Classic. The gentleman enjoyed breathtaking views of the Santa Clarita Valley on one of California’s premier golf destinations, Robinson Ranch Golf Course, nestled at the base of the Angeles National Forest. The proceeds from the event help purchase life-saving equipment for neonatal and pediatric services at Providence Saint Joseph Medical Center. For more information on the Providence Saint Joseph Foundation, please visit www.providence.org/supportSaintJoseph.